Fresh out of the Navy, Gabriel Nadeau is more than ready to settle down when he accepts a job on Pelican Cay. He craves peace and serenity—and lands in a tempestuous paradise instead. Barely unpacked, he finds himself entangled with the enchanting free spirit, Adriana Hernandez, marked by a jealous rival, and uncovering an ongoing crime. 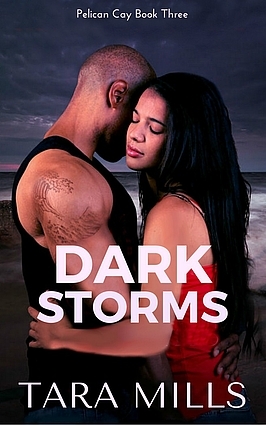 As the residents prepare for the storm of the century bearing down on them, Gabe discovers the hurricane is the least of his worries and he and Adriana are both in more danger than either realized.